Council Elementary-Middle School is located on the headwaters of the Russell Fork River in the southeastern portion of Buchanan County at the foot of Big A Mountain on state Route 80 between the Buchanan and Dickenson county lines. One of the early educational establishments was the Baptist Mission School of Council. Reverend Walter A. Hash, sent by the Baptist Mission Board to organize churches at Council in 1906, was the originator of the idea for a school. 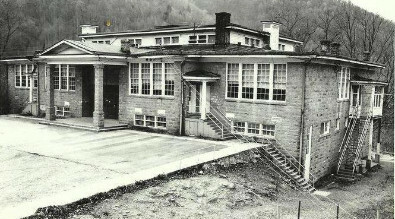 The Buchanan County Public School System acquired the Buchanan Mission School in 1931 and began operating the school as a combined elementary and high school. In the early 1960’s a new unit was built by the county to house the high school grades and the old Mission plant was used to consolidate all the small elementary schools serving the Council vicinity. Council Elementary remained “on the hill” until the end of the 1982 school term. On August 19, 1982, five days before the beginning of the 1982-1983 school year, the Council Elementary moved into the new building. The new Council Elementary-Middle School, located within sight of the old hill-site campus of the Mission School, serves the many descendants of the Mission School’s students. The ultra-modern facility consists of thirty-six (36) classrooms, a science lab, an art room, a band room, a library complex, a gymnasium complex (which can seat approximately 1500), a cafeteria complex, and a little theater that can be used as a self-contained area or modified by the push of a sliding wall to accommodate large crowds by using the adjacent dining area of the cafeteria. The school currently serves 222 students in Pre-Kindergarten through Seventh Grade, 15 children enrolled in Head Start for a total of 236 students.